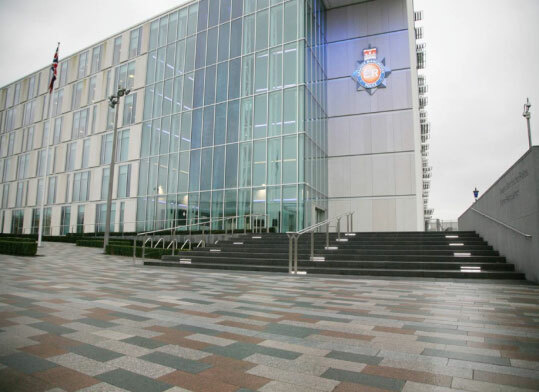 Scope: Greater Manchester Police commissioned a new Headquarters building consisting of predominantly offices, and a new Divisional Headquarters with both offices and custody suite. Murraywood carried out the full groundworks package. 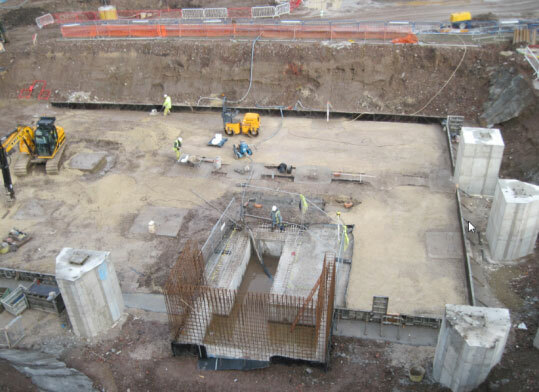 Excavation and construction of reinforced concrete foundations and pile caps. 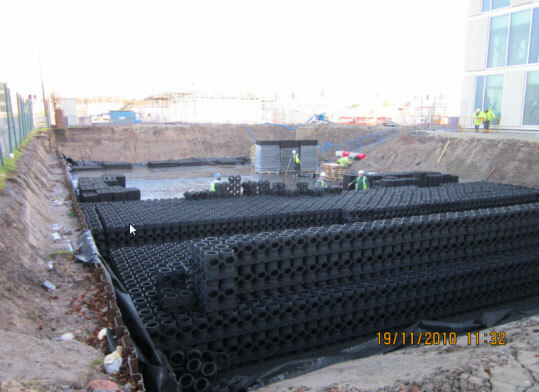 Installation of foul and surface water drainage systems and associated interceptor and rainwater harvesting tanks. 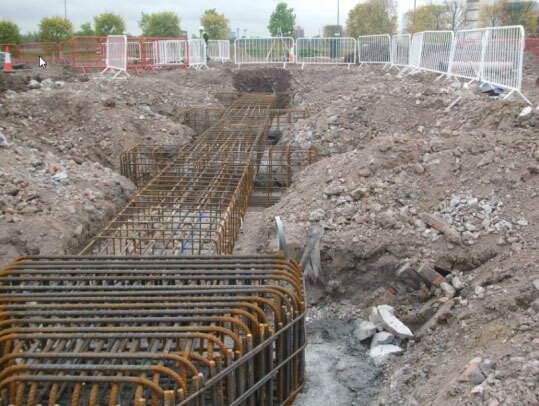 Basement construction in both buildings measuring approximately 20m x 15m x 3m. 7 upper floors with concrete beam infills and soffit works with perimeter upstands an plinths. Over 10,000m² preparation work and asphalt surfacing to car parks. External stairway and pedestrianized public realm area laid to granite, with granite clad walls to match.